Applications are invited for a four year EPSRC funded Research Associate position to work in the organic solid state group of Profs Sarah (Sally) L Price and Derek A Tocher. The appointee will act as the computational PDRA on the joint experimental/computational project “Computationally Designed Templates for Exquisite Control of Polymorphic Form” EP/K039229/1. The work will develop the combined use of a variety of major academic codes: molecular and periodic electronic structure codes, atomistic anisotropic atom-atom organic solid state and surface codes, and organic crystal structure analysis tools. Applicants should have a PhD in computational chemistry, with experience of using a range of atomistic simulation and electronic structures codes. They should also have the ability to work as the computational support specialist in a project with experimentalists ranging from crystallographers to academic and industrial pharmaceutical scientists. The project is closely linked to the CPOSS project www.cposs.org.uk. You may download the job description and person specification or contact Prof S.L. Price (s.l.price@ucl.ac.uk) for further details. Start date is expected to be 1st May 2017 and the appointment will be for 9 months. The salary range is £34,056 to £41,163 (including London Allowance of £2,980). Informal enquiries should be addressed to Prof S.L. Price (s.l.price@ucl.ac.uk). Applications for this post must be submitted on UCL's on-line recruitment system (found at the bottom of the job advert page). The closing date for applications is 5pm on Monday 27th March 2017, and interviews are expected to be in the week commencing 24th April 2017. A 4 year Eng Doc studentship in Engineering Doctorate Centre in Molecular Modelling and Materials Simulation, UCL, www.m3s.ucl.ac.uk starting September 2015. 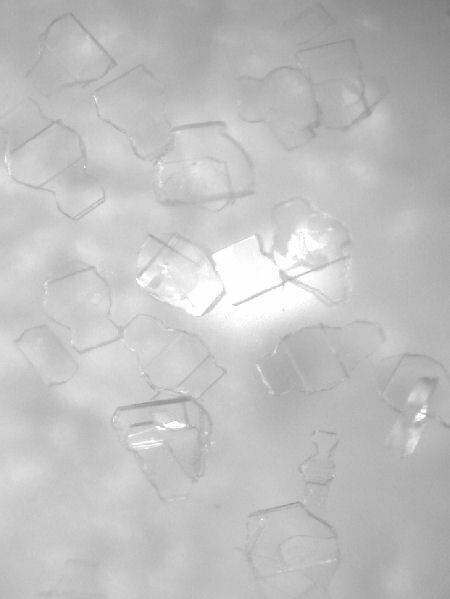 The crystal packing is essential to the performance of energetic materials, but many commonly used small-molecule energetic materials can crystalize in a variety of different ways (polymorphs). This project will develop methods of modelling the structures and properties of the known polymorphs, and hypothetical crystal structures of current small-molecule energetic materials. The aim is to develop computer modelling tools to aid the computational design of new, safer, energetic materials. Because of the external sponsorship by AWE, only British citizens, who are ordinarily resident in the UK, are eligible for this studentship. The candidates should have, or expect to gain, a good honours degree (first or upper second) including some experience of computational materials modelling. Please direct applications and enquiries regarding this project to Prof Sarah (Sally) Price (s.l.price@ucl.ac.uk) as soon as possible. The deadline for applications is 13th July, but the position will be filled as soon as an appropriate candidate is found. A 4 year, fully-funded, PhD with Dr Dimitrios Lamprou is available on the “Metrology for Pharmaceutical Manufacturing: Understanding activity from surface sub-microscale chemistry” (http://www.findaphd.com/search/ProjectDetails.aspx?PJID=64112&LID=1467), Starting 1st of October 2015. The Ph.D. is aligned with the EPSRC Centre in Continuous Manufacturing and Crystallisation (CMAC; www.cmac.ac.uk) with significant support from CMAC’s strategic partners (e.g. AstraZeneca, GlaxoSmithKline), and is in collaboration and co-supervised by the National Physical Laboratory (NPL; http://www.npl.co.uk/people/ian-gilmore). Applicants for this Studentship must possess a minimum of a 2:1 degree in a relevant subject (e.g. Pharmacy, Pharmaceutical Sciences, Chemistry), be UK or EU nationals, and be able to spend at least 30% of their time at NPL facilities in London. Please contact Dr Lamprou (dimitrios.lamprou@strath.ac.uk) for further details or to apply.